What is happening in Tacoma? 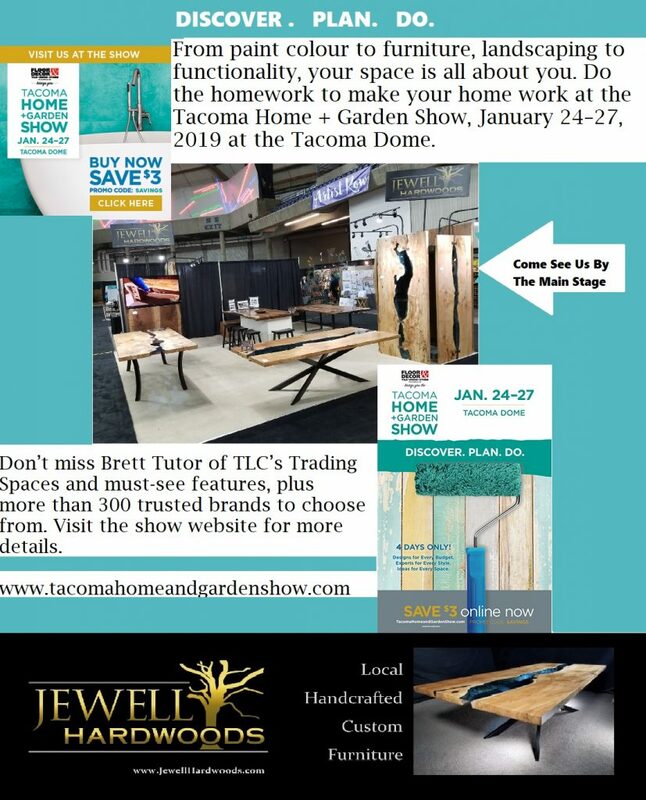 Tacoma Home and Garden Show Featuring Jewell Hardwoods Custom Furniture Jan 24-27, 2019. Surprise, if you missed us in Seattle last weekend you have another chance to see the most beautiful tables from our showroom this Thursday through Sunday. 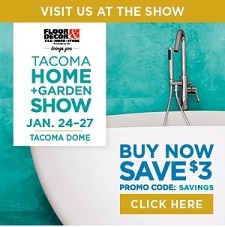 Get your tickets for the Tacoma Home and Garden Show located inside the Tacoma Dome. Come visit Washington’s largest Home and Garden Show filled with incredible vendors from all over the Pacific Northwest. We will be bringing our award-winning Fine Furniture available for purchase at the show. What an honor to be represent what we love to do. Our furniture designers will be there to help answer questions and show you even more options back in our showroom. From paint color to furniture, landscaping to functionality, your space is all about you. Do the homework to make your home work at the Tacoma Home + Garden Show, returning January 24–27, 2019 at the Tacoma Dome. Don’t miss Brett Tutor of TLC’s Trading Spaces and must-see features, plus more than 300 trusted brands to choose from. Visit the show website for more details. Buy your tickets online and save $2! Thursday, January 24 11 a.m.–7 p.m.
Friday, January 25 11 a.m.– – 7 p.m.
Saturday, January 26 11 a.m. – 7 p.m.
Sunday, January 27 11 a.m. – 5 p.m.